Weekend in Review. Alternately Titled: Relaxation and I Could Kill My Dog. Friday night we had some friends over for a little barbeque. The night was so fun, and I'm so mad I didn't take any pictures. Somehow Toby got out of the fence behind the house (it backs up to dead space that is full of tall weed grass) while our friends were here. Drew and I had no idea, so when he came to the door at 9pm we didn't think anything of it. 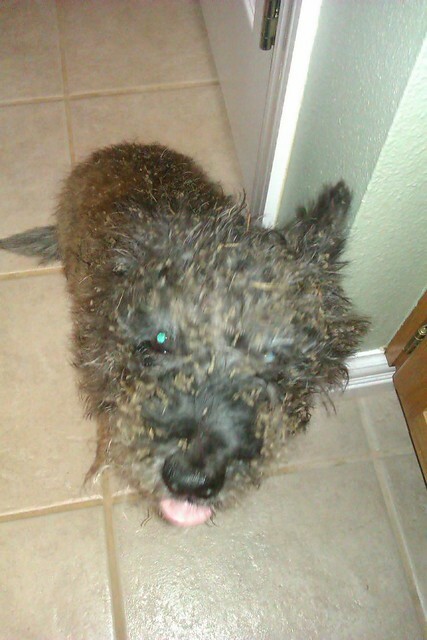 So imagine our surprise when we decided to head to bed at 11pm and saw our dog covered in grassy burrs. This was the second time he had done this this week, but this time it was so bad there was no way we were going to brush them out. 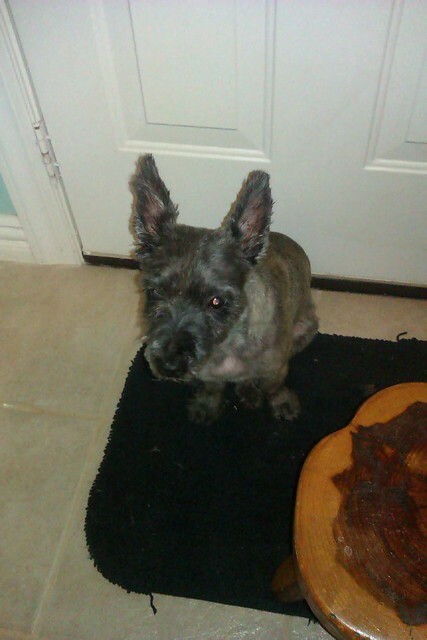 So I sadly had to shave all of his fur off. 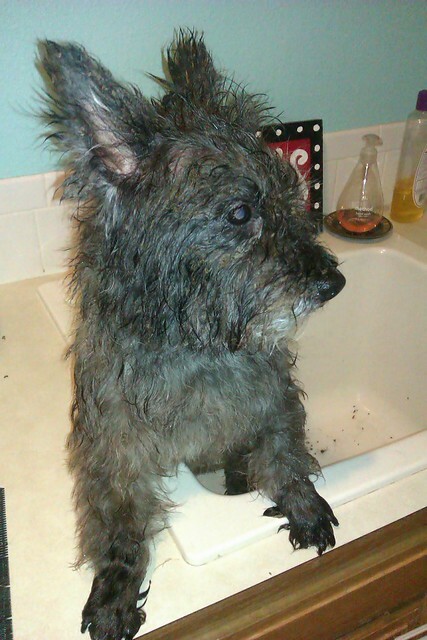 I was so sad, because honestly, Cairn Terriers look like small rats when they don't have their fur. Toby wasn't too keen on the idea either. 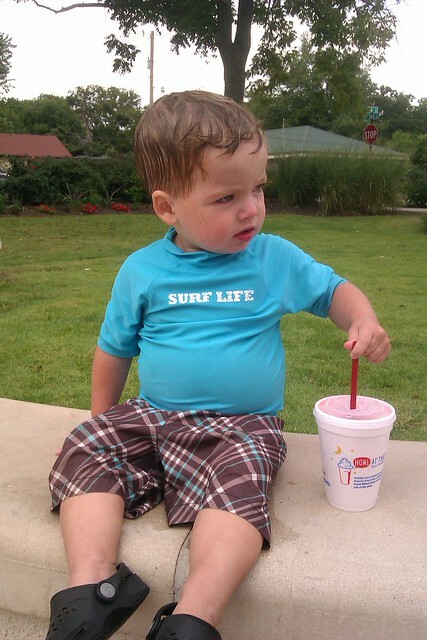 Poor baby was a trooper. And Drew and I weren't very thrilled with having to shave a dog until 12:30am on a Friday night. this picture doesn't even do it justice. Bur city in Toby's fur. I think he's embarrassed. Can't say I don't blame him. Poor guy! We have a pretty busy week ahead of us, which I'm looking forward to since it will keep our minds off the fact that the summer heat is back again :/ Hope yall have a great week!